Hit and Run Slots System – What Is It & How Does It Work? Many gamblers understand that slots results are random, but that doesn’t stop certain players from developing systems for the game. One such strategy is the hit and run slots system, which is one of the simplest pull off. Does the hit and run strategy succeed where other systems fail? Or is it just another futile strategy that can’t overcome the house edge? Find out as I discuss this system and explain whether it does or doesn’t lead to profits. The hit and run system works by playing different slot machines for a limited time. The idea is that you find a hot game, win a sizable amount of money, and leave before the game goes cold. You can even set specific parameters for how long you play each machine before finding a different one. 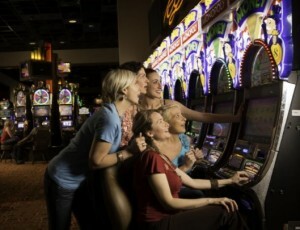 For example, you can play five different slot machines for a total of 10 minutes each. You could also leave a specific game after you hit $50 in winnings. Of course, there’s no guarantee that your bankroll will last for 50 minutes. But you should develop a feeling for how long your money will stretch when using this strategy. Many slots players are convinced that they can find hot games by moving around a land-based or online casino. But the truth is that there’s no such thing as a hot or cold slot machine. Instead, a random number generator (RNG) determines wins. And the RNG is programmed to cycle through countless symbol combinations to pick winners and losers. The RNG doesn’t care how much a game has been paying recently. Instead, this program merely continues choosing random results. 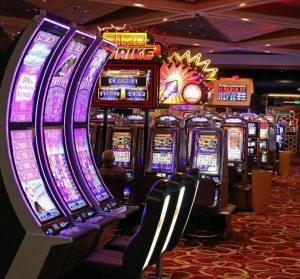 The idea that you can win more money by shuffling around different slot machines is misguided due to the randomness of these games.